The Honorable Brian Kemp won the Governorship of our great State of Georgia, but did not own BrianKemp.com. Georgia Representative-Elect Colton Moore reclaimed the domain name from California Democrats and Stacey Abrams supporters who redirected BrianKemp.com to StaceyAbrams.com. By reclaiming the name, Colton stopped Liberals from squatting on Georgia Republicans and our future Governor. 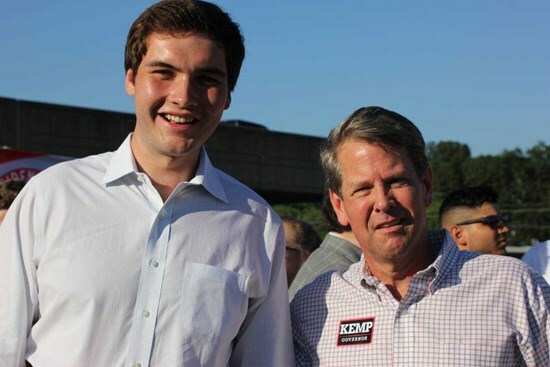 Note: BrianKemp.com was paid for using personal funds. Moore for District 1 Committee or Kemp for Governor, Inc. had no financial involvement. See District 1 on the Georgia campaign trail for Republican Governor Candidate Brian Kemp and Lt. Governor Candidate Geoff Duncan. Listen to Colton's Georgia Election Day Playlist, below. Visit the Northwest Georgia Voter's Guide to learn more about Election Day and Election Results across the State.